Music Interface Technologies (MIT) products have had a place in my system on and off over the last twenty years. 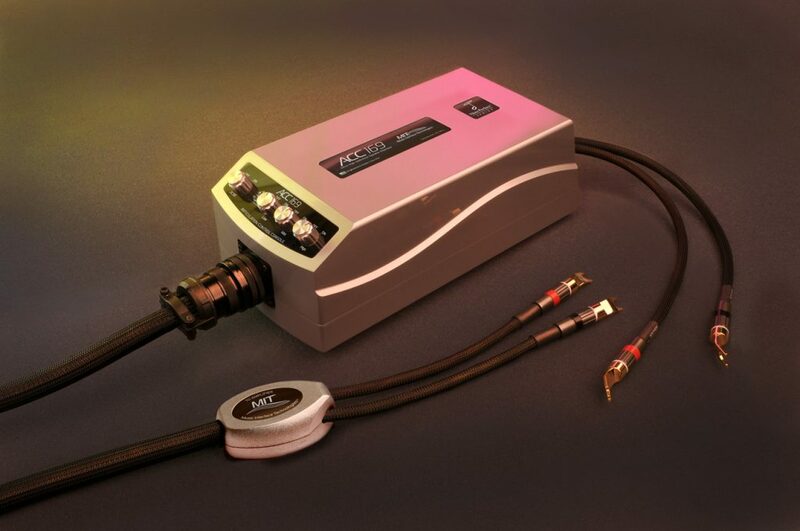 From the MI-850 Tri-wire designed for my long lost and loved Avalon Radian speakers to the subject of this review, the ACC169 Speaker Interface and the Oracle MA-X SHD XLR Interconnects. In that time I have formally reviewed well over a dozen different high-end wire manufacturers offerings not to mention the additional brands I lived with, without ever writing about. Somehow MIT has always hung around my system making its presence known, providing a worthy reference by which others were to be judged. Recently I reviewed the MIT Oracle 1.5 HR and found them to be the best interface that has ever been in my system. The 1.5HR provides great tone and texture, stellar transparency and that three dimensional imaging MIT has built an empire on. Being quite content, there was no hurry to move up the ladder. Well, you can’t stop progress and it’s my job to keep up. So when Kent Loughlin, Vice President of MIT Cables, offered an audition of new ACC169 speaker interface ($44,999 8ft.pr) and a couple of pairs of Oracle MA-X SHD XLR Interconnects ($21,999 2 meter pr.) it was time to investigate. Not much to say about set up; it doesn’t get any more plug and play than it does with cabling or “interfacing” as Kent likes to call it. Just install the (extremely) pointy cones under the Control Consoles of the ACC169 and find a nice piece of floor space for them. The ACC169 and the MA-X SHD interconnects are “burned in” at the factory so first impressions would be lasting. Even when burned in, products in this category require some additional time in order for the set up to find its “system ground”. After, it is easy to digest differences and track improvements. With the new cable in place, I was immediately struck by the window to the music opening further than before, expanding the picture in all directions. It’s not that the MIT Oracle 1.5HR is lacking because it’s not. It’s just that the new generation adds depth, width and an uncanny level of transparency. There is a sense of effortless resolution that seems to be limitless and should be easy for anyone to recognize. From the Sonus Faber Lilium speakers and D’Agostino MLife integrated streamer/DAC system, I have never experienced such refined sound. The ACC169 speaker interface is on the 3rd tier in the MIT Oracle lineup so I will assume, based on my experience with these new products compared to that of the last generation, the top of the range ACC 268 would be even better than the ACC169—a scary thought. ACC is the acronym for “Articulation Control Console” Speaker interfacing. 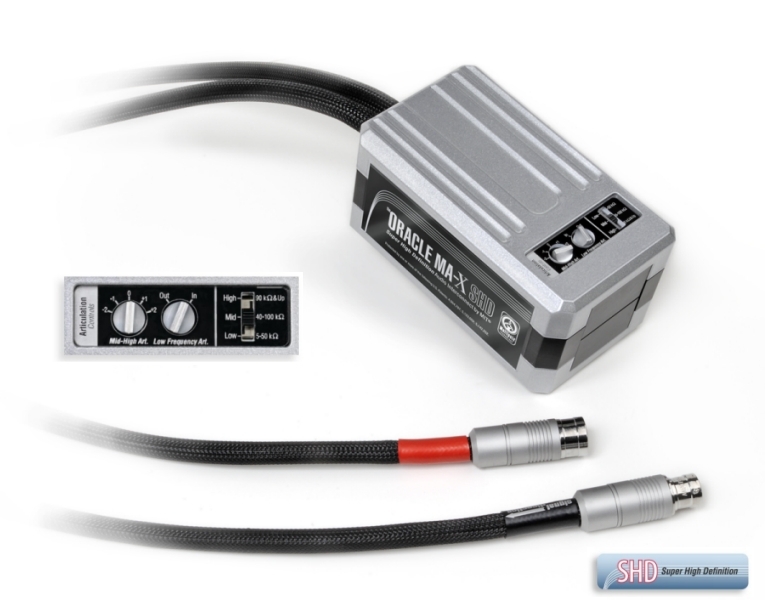 This design is based on a large hand wound multi-gauge “hose” of a cable that begins with a unique and patented MIT CVT coupler at the amplifier end (to eliminate reflected energy) and terminates into a stylish machined billet aluminum enclosure. This is finely painted with a finish similar to what you might find on a premium luxury car. The “dashboard” facing the user offers four control knobs including on/off settings for lows, mid and high frequency articulation control and a “2C3D” on/off switch. 2C3D is a MIT trademark that stands for Two Channel Three Dimensional imaging. I have to say it works exactly as the name implies; creating sonic images easily manifested into the room and beyond the walls. The “169” in the moniker quantifies 169 discrete points (poles) of articulation, ranging from 1.06hz beyond 20kHz to optimize system articulation for any room or situation that may require additional system tuning, or “articulation control” as the manufacturer describes it. Turning on or off the three band adjustment dials on the Articulation Console dashboard, one can increase or decrease the level of articulation in each of the three bandwidth sectors. The fourth dial activates the unique 2C3D circuit which, when engaged, allows an unusual amount of energy to thrust out into the room creating a slightly forward and most notably, a Visceral Presentation that engages the body (not just the ears) with more front to back depth and saturation within an expanded soundstage. 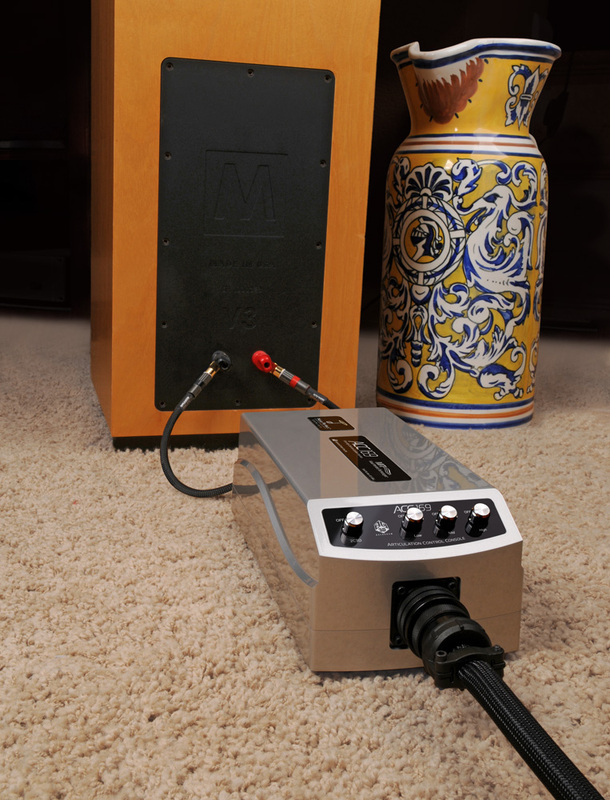 The MA-X SHD interconnect set up the signal inputs with unique impedance matching circuits managed by a three position DIP switch to select high, medium and low impedance settings. Plus, there are two smaller control dials; one to control the mid-high poles of articulation and one for lows. The MA-X SHD interconnect features can be daunting at first but I say you will have fun with them. I was never able to screw up the sound with any of the combinations, but I was able to find the best possible setting, depending on the recording, rather quickly. As a reviewer I move gear around a lot. After several months of swapping gear around I have noticed the connections the MIT IC’s and speaker interface have held up great and show no sign of wear or tear. 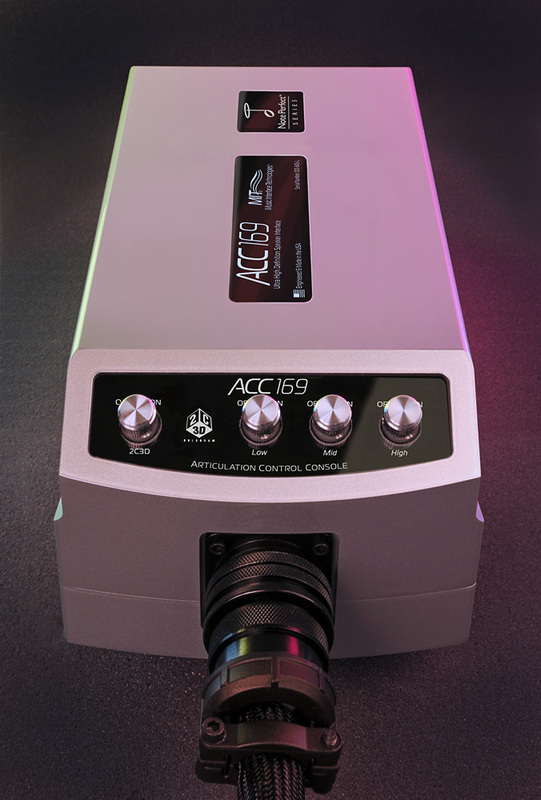 There was nothing about the construction of the ACC169 speaker interface or MA-X SHD interconnects that raised my eyebrow by anything but admiration. The build quality is really special among its peers. “Stuck in the middle with you” from Stealers Wheel is one of my all time favorite songs. Through the new MIT interconnects and speaker interface, the vocals are so present and unbelievably grainless and clear. The images are unraveled and for the first time, totally discreet via the MIT cables. “Joker” from Steve Miller band’s Fly like an Eagle is a go to for precise imaging and a level of resolution creating an atmosphere much like being in the microphone booth of the recording studio. This is the biggest difference from the last generation MIT. Music is closer, more present, tactile and intimate through the new version, by far. The soundstage conjured by the MIT really pushed the limits of the Sonus Faber Lilium loudspeakers, feeling limitless. Recordings and their inherent soundstages are revealed to the fullest. Not only are recordings showed off at their best, components such as the Audio Research Ref 3 phono stage made its superiority known immediately upon inclusion and stretched the MIT’s performance beyond where I had heard it go before. The Ref 3 sounded simply sublime through the MIT. Acoustic instruments are extremely well served by the MIT. “Good bye-for My Father” from Brian Bromberg’s Wood again, offers up a level of sheer tactile realism, unable to be reached with prior cable looms I’ve auditioned, with timbre and texture that is spot on. I try to stay above the fray when it comes to the controversy these types of products incur and their rightful place in the audiophile universe, so I will leave the ultimate value proposition up to you. I wish a cheaper way to get this level of performance and flexibility would reveal itself, but it has not. Yes, the system as connected with two 2-meter pairs of IC’s and a set of 8ft speaker interface rings in at $94K. There is no way around that when you build them by hand and one at a time. But if you already have a Porsche 911Turbo in the garage and building a true reference level music system is next on your list, MIT provides the products worthy of that quest. If you are like me, you consider the cables to be of equal importance to other components that comprise any audio system. One could argue without the best possible interface, a system never reaches its fullest potential. Reaching full potential is what Reference Grade products are all about. I love anything that really pushes at the limits of design and performance. Whether it be watches, cars, guitars and especially audio, I am fascinated by all things cutting edge. Products representing the best that any designer or engineer can offer fascinates me. I believe in following this creed right down to the cables that connect my speakers and electronics, having spent the better part of two decades investigating the cables that lash together my separates as I work to make it a system. With these latest iterations MIT has thrown down a gauntlet for all others to traverse. Listening to Joe Walsh’s classic “Life’s Been Good to me so Far” sipping a Peroni and writing about the MIT ACC169 and MA-X SHD, I can’t help but relate. Yes, life’s been good so far. Spending time listening with MIT in my system has been enthralling and offers greater insight into what is possible in Hi-Fi. These products are truly state of the art and meant for the very best possible systems. MIT ACC 169 and SHD interconnects represent and beautifully demonstrate the result of decades of commitment to advancing interfacing technology, from the team at MIT.